G30 studetns and our two course assistants went to Tsukiji Fish Market to buy all kinds of fresh fish for our Christmas Sushi Party. This has become one of our annual events at G30. This is the last day of 2012 for G30, and we will start the new year from Jan. 7th. 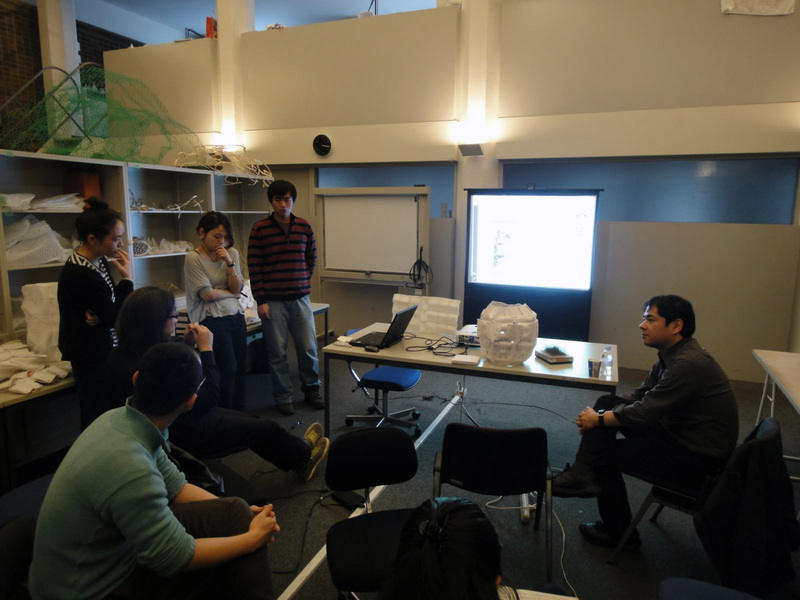 G30's 1st year students presented their four pavilion projects to our guest critics, Mitsuhiro Kanda(Tokyo University of the Arts/Arup) and Jun Sato(the University of Tokyo/Jun Sato Structural Engineers). The students received interesting feedback regarding structural and fabrication issues from both of the structural engineers. The all four projects will be developed further after the break to build mock-ups early next year. 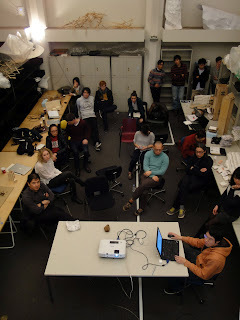 This is the last week of 2012 for G30, and the 2nd year studio had presentations today. We invited Tomohiko Yamanashi from Nikken Sekkei to review some projects that will be developed further for their thesis projects in the coming semester.